The BlackBerry Torch 9800 though was one of BlackBerry’s flagship devices, hasn’t quite lived up to it’s expectations, in terms of specs at least. Because let’s face it, a 624 MHz processor doesn’t quite match up with other devices out there. But the fact that this is a touchscreen+QWERTY phone was a huge selling point. 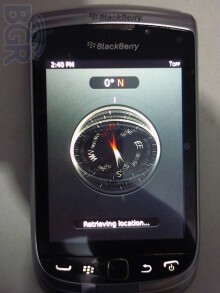 And now, it seems like RIM is trying to get back to the game with a new BlackBerry Torch being surfaced. It looks very similar to the Torch 9800 but a hardware upgrade is what we care about more. The BlackBerry Torch 2 is apparently an upgrade over the original BlackBerry Torch. The Torch 2 will feature a display with a resolution of 480×640 pixels which is actually higher than the original Torch. The Torch 2 will also feature a faster 1.2 GHz processor which is a major improvement over the 9800 and will run on BlackBerry OS 6.1. Apart from these changes, the device will supposedly remain the same as the original Torch. 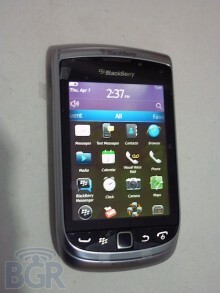 We expect RIM to make an announcement about the Torch 2 next month at the BlackBerry World 2011. The BlackBerry Torch 2 will definitely make an impression on the people with an upgraded specs sheet. It’s really good to see RIM making an attempt to stay at par with other companies who are currently cruising.